Faasos is India’s one of the fast food restaurant located across the country. Here you can enjoy the delicious wrap on move fast foods. Now you no need to worry about travelling empty stomach just stop here for few minutes at Faasos and pack your food instantly while on the drive. Faasos restaurant was started in 2003 at Pune with an aim to deliver foods that are of high-quality and fulfills the hunger of the customer at very lesser price. Foods made at this restaurant are prepared in hygienic condition and ingredients used are of standard quality. They ensure to offer a high-quality food that makes worth for the given price. The team of this restaurant also focuses on maintaining customer satisfaction by providing clean condition foods without compromising on quality. Faasos say, 'Wraps on the run' and they strive to provide the best service to their valuable customers on anytime. Presently, they have 75 outlets across India which includes Mumbai, Pune, Bangalore, Chennai, Ahmadabad, Vadodara, Gurgaon, Indore, and Hyderabad. Not only just the restaurant you can also order fast food from here by visiting Faasos online website. From online website of Faasos food ordering website you can check out various locations of the restaurant, look for menu and other FAQ details of the restaurant provided. Other than online website ordering, you can also download Faasos app and anytime wherever you be just instantly order your favorite food through your mobile phone or table as well. Faasos blog features articles such as Economic Times: Sequoia Capital to invest $5 million in Faaso's, Faasos offers a 'entrepreneur in residence' program, Sequoia Backed Food Chain Startup Faaso's Offers "Entrepreneur in Residence" Program, CNBC: Young Turks Dream Decade (Video), Business Outlook: Wrap Artists, and others. The payment for ordered foods can be done through modes like credit card, net banking, debit card and cash on delivery. The online transactions are securely handled and all major banks credit and debit cards are accepted at this online food ordering website. With cash on delivery you pay the cash for online food order when it gets delivered to your doorstep. Pay for the food as per your convenience at this fast food restaurant. Faasos offers 30 to 45 minutes of delivery time and sometimes there may be delay in order deliver that will be informed to you through email or phone call. If you wish to cancel or change the order make sure you contact the customer support within few minutes after placing the order. 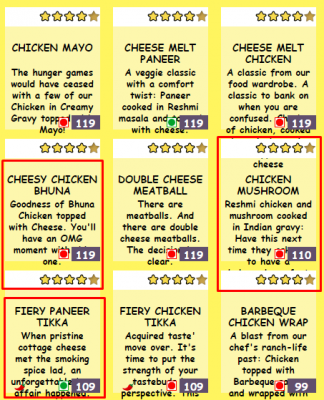 Track your food order at Faasos.com online website and also you can contact to customer support via email or phone. The customer support executives of Faasos are responsive and they ensure to provide reliable service. The service from customer support will be available on all weeks of their working hours. 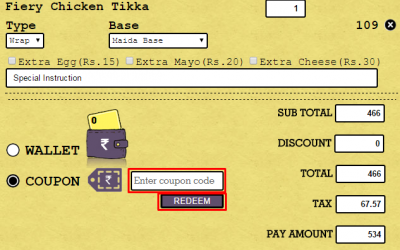 With Faasos discount coupons and Faasos promo codes you can get huge discounts on wrap roll food. You can order your rice wrap food online for lowest price. In online website of Couponrani.com find Faasos coupons and Faasos food offers.